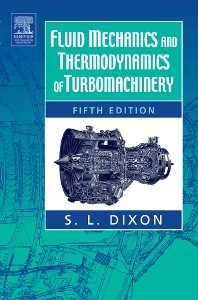 The new edition will continue to be of use to engineers in industry and technological establishments, especially as brief reviews are included on many important aspects of Turbomachinery, giving pointers towards more advanced sources of information. For readers looking towards the wider reaches of the subject area, very useful additional reading is referenced in the bibliography. The subject of Turbomachinery is in continual review, and while the basics do not change, research can lead to refinements in popular methods, and new data can emerge. This book has applications for professionals and students in many subsets of the mechanical engineering discipline, with carryover into thermal sciences; which include fluid mechanics, combustion and heat transfer; dynamics and vibrations, as well as structural mechanics and materials engineering. Introduction: Dimensional Analysis: Similitude; Basic Thermodynamics, Fluid Mechanics: Definitions of Efficiency; Two-dimensional Cascades; Axial-flow Turbines: Two-dimensional Theory; Axial-flow Compressors and Fans; Three-dimensional Flows in Axial Turbomachines; Centrifugal Pumps, Fans and Compressors; Radial Flow Gas Turbines; Hydraulic Turbines.